Are you dancing and singing your way through your life? It’s midday’ish on a random damp November Tuesday. I’m leaping around my office at my stand-up desk, I’ve got music blasting, I’m dancing, playing air guitar, and air drums, I’m singing (very badly, throat still whacked from delivering a high-energy 2-day workshop all weekend!) and I have oodles of energy. I’m 45 years old, I run 2 companies and have 3 young kids. My life is busy and demanding. This is how I am when I’m at work. I’m driven, I’m motivated, I know what I want out of life. If you don’t feel this way, do you ever wonder why? If you don’t feel like leaping and singing and dancing every day, why not, what are you doing with your life that’s draining your energy, sapping your life force? If it bothers you, I suggest you attend a MotherNaturesDiet seminar and let’s work on this together. I spent a few hours on the road again today, and for 3 hours I listened to more classic personal development material. I am so into Jim Rohn at the moment, the guy was truly the master. And I resonate with everything he says. To me, that is PROFOUND. See, this is how I interpreted that, and this is what MND is all about. Don’t tell me to ‘get a life’ because I don’t eat cake!! MND TV Episode 4 – ‘Get a life’ Rant! Sorry folks, this is a bit of a rant, and I swear a few times in this video. I’m crazy about healthy living, and sometimes people are quite critical of my life choices – I am often told to “Get a life” or “Live a little” because I choose not to eat sugar, drink alcohol or watch TV. In this video, I rant about all of that, and encourage you to see that the ‘stigma’ sometimes attached to healthy eating, suggesting that healthy, clean eating is ‘boring’, is in fact the complete opposite. Please be warned of bad language, and sorry if I offend anyone! If you want to get on in life, if you want to beat the competition, you need more energy! Here is an MND Video for you to watch, link coming up in this post. I believe that MotherNaturesDiet will help you, wherever you are now, to make forward progress. It is important to me to help you understand that MND is for everyone. I truly believe it can help everyone. It may not be perfect, it may not be “all things” to everyone, but I think it can at least help. I think that for MANY people, MND offers all the answers, the ultimate long-term sustainable healthy lifestyle. I’m already super healthy and very fit, I run marathons and go rock climbing, but you may be in a different place to me, and that’s OK, the 12 Core Principles are not prescribed meals and exercises, they are ways of living, and you can incorporate them as much or as little as you want to in your life to make forward progress. If you are already fit too, and just looking for ‘the next 1%’ or you are seeking ‘the edge’ in your chosen sport or competition, then MND is a way to get your body functioning optimally, to give you more energy to help you get ahead. Maybe you are unfit, maybe you are over weight and out of shape, then MND will help get you to a better place, MND will help you lose that weight and improve your fitness. Maybe you are searching for ways to have more energy and vitality – MND can help. Maybe you want to resist the signs of ageing and turn back the clock a little – MND can help. Whether your goal is to build big muscles, lose weight, get fitter, run a faster marathon, resist ageing, feel better, stop the wrinkles, have more energy to work at your career and provide for your family, MND can help you to make progress from where you are. I post pictures of me running around mountains and doing a lot of push-ups, but that’s just me, that’s my thing…YOUR thing might be something different, and that’s OK, the 12 Core Principles are just that, PRINCIPLES, to help you live better, live longer, live stronger. Whatever YOUR goals, never getting sick, having more energy and feeling great will help you to achieve them, so stick to the MND way and you will make progress. Every day I hear people complaining that they wish they could earn more. No, scrub that, they complain that they wish they were PAID more. But here is the thing – when we go to work, we need to stop thinking about “what I get paid” and start thinking about “what I EARN”. They don’t just give it to you because they like your face, you have to EARN that pay cheque!! And a lot of people seem to have a problem with the earning bit. To earn it, you have to work, lots. And the problem with climbing the career ladder today, is that someone else is always more eager than you to climb the same ladder. If you want to beat that other person, you gotta show up, you gotta put in the hours, you gotta work. And that takes energy. It’s the same with chasing a woman, or a man – or keeping the one you already have. It takes energy, it takes effort – if you want the best, you have to be the best! If you want to create, or maintain, a spectacular relationship, you need to show up, be present, be engaged, bring some magic to the table. It takes energy to stay on top of your game in business, in sport, in performing, in relationships, in all areas of your life. The fantastic Tony Robbins once said that if you could have one thing to help you succeed in all areas of your life, having twice as much energy as everyone else would be the key, THE one great secret to success in all areas. I think that’s right – you know, as Bebe Ruth famously said, ‘It’s hard to beat a person who never gives up’. – Get more from your body, get more from your life. MND all the way folks. Today, I feel the need to have a little rant. Well, maybe not a rant, more of an impassioned plea, or a ‘call to sanity’ perhaps. I have a line of thought that’s been rolling around my mind for a few days…not about any one person in particular, but sparked by several separate conversations with several people over the last 2 or 3 weeks, but this stuff applies to ALL of us. This is so important, I hope I can put it into words intelligently, with care and respect. 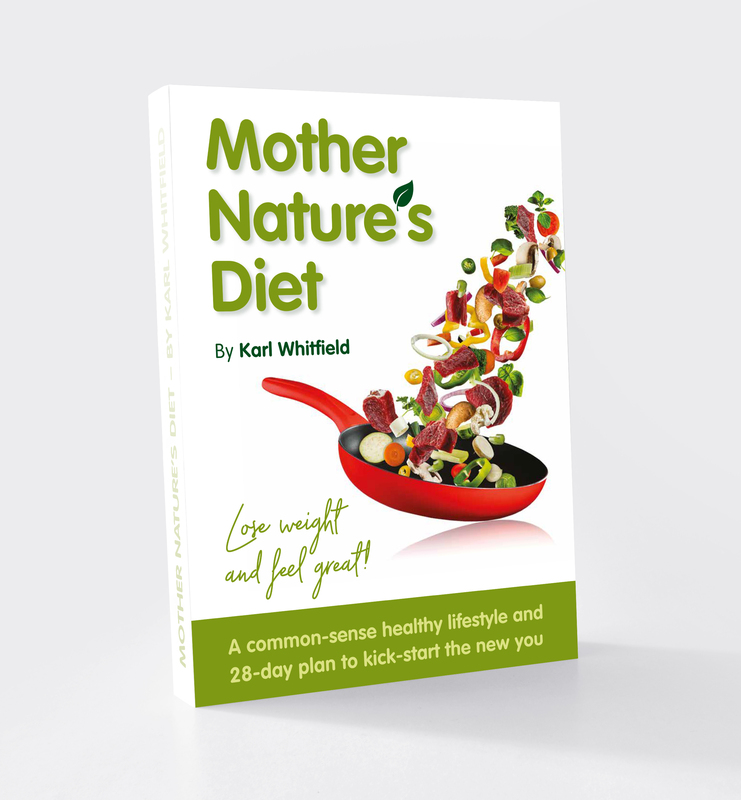 MotherNaturesDiet is all about ‘supreme good health and abundant natural energy’. MotherNaturesDiet is a LIFESTYLE to help you achieve supreme good health and have abundant natural energy. The goals of MND are to help you live longer, feel great, have more energy TO DO MORE with your life, to SHOW UP with more vibrancy and energy in your work, your relationships, your family, your chosen sport, your whole life! Yes, MND will help you maintain a lean healthy body, you can use MND to lose weight, to get ripped, to build muscle, to run faster or further and much more, but only because MND is all about being HEALTHY on the inside, it’s about getting your body working optimally, removing the blocks that are stopping you from making forward progress in any area of your life, so you can do more, be more and have more of whatever you want. So if you WANT to build big muscles, get a 6-pack, run a faster marathon, complete an Ironman, put more drive and energy into your career, put more passion and energy into your intimate relationship, have more energy for parenting, for your chosen sport or whatever else YOU want, then MND will help you to be healthy inside and out, to act as the BASE platform for you to build, be or do whatever it is you want. MND can’t do it all for you, but it will help you to have loads of energy, feel great, not get sick and perform at YOUR best to do whatever you want to do.